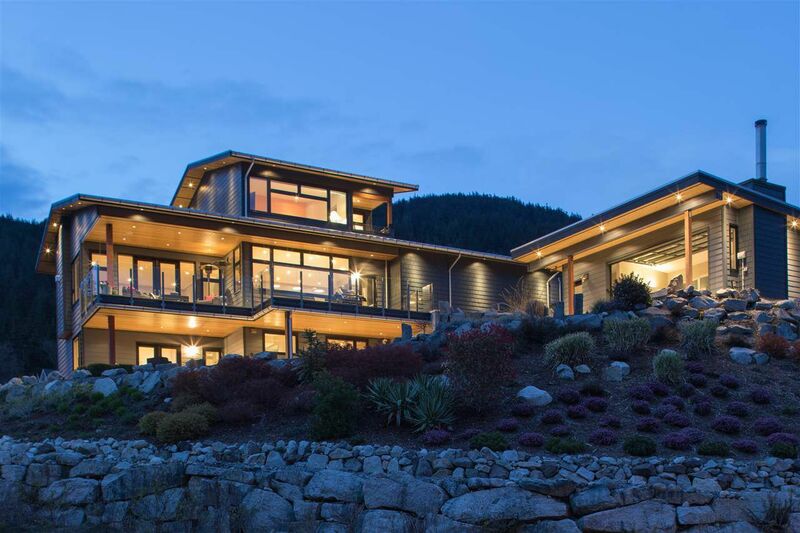 WestCoast ocean and mountain views surround this custom-built home. This is truly a home for entertaining and relaxing. 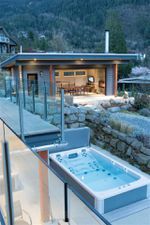 Perfect retirement property or Vancouver get away, within easy commuting distance. It is common to see various species of wales and dolphins meandering up Howe Sound. This property is minutes to Furry Creek Golf Course! South/West facing exposure and outdoor space galore. Decks, covered patio, swim spa, jacuzzi and a detached outdoor Flex Cottage. Perfect for a home office or bring your ideas. Entertainers delight. The main home has been thoughtfully designed to offer and focus on the privacy offered and the ocean views. Hardwood and hand-cut basalt accents throughout give you the true WestCoast feel. Open concept kitchen and main living area. Oversized garage and flat driveway on an 18000 sq. ft plus, fully landscaped property. Viewings by appointment.